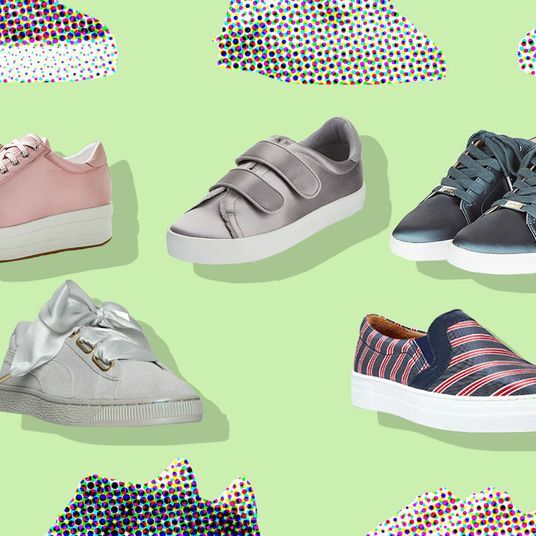 If you follow our monthly Strategist Haul, you’re familiar with the idiosyncrasies of our editors’ and writers’ shopping habits. While we think of those as the highlights, there are plenty of other, less glamorous things we buy — and love — on the regular, too. So whether you’ve wondered about the work bags we tote around or the underwear we’re most loyal to, this is the Stuff We Buy Ourselves. 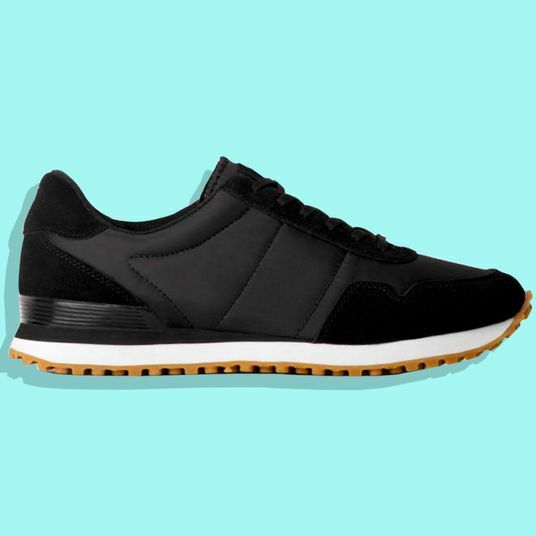 In this edition, the sneakers that our editors wear daily for walking around town. It’s an off-day when at least three of my co-workers aren’t also wearing Converse. 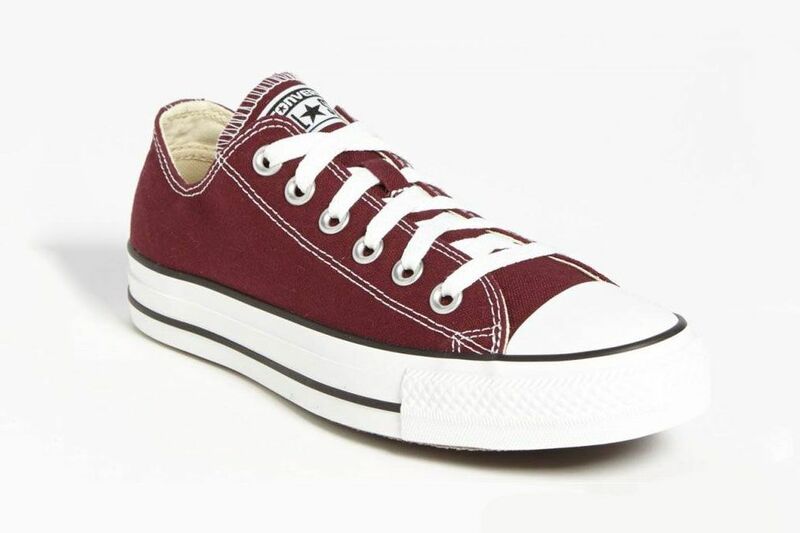 I have tried to wear sneakers that are more dad-like, more now-feeling, but every time, I end up taking those off and slipping back into one of my four pairs of Converse. They just agree better with all the short pants I wear. 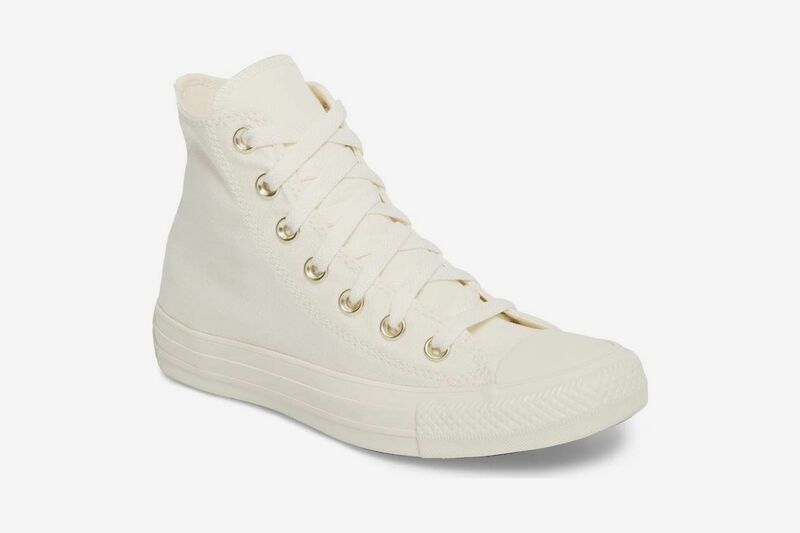 While I would love to be the kind of lady who looks effortlessly cool wearing a pair of white canvas sneakers with a summer dress, something about them always makes my short and stumpy legs look, well, shorter and stumpier. 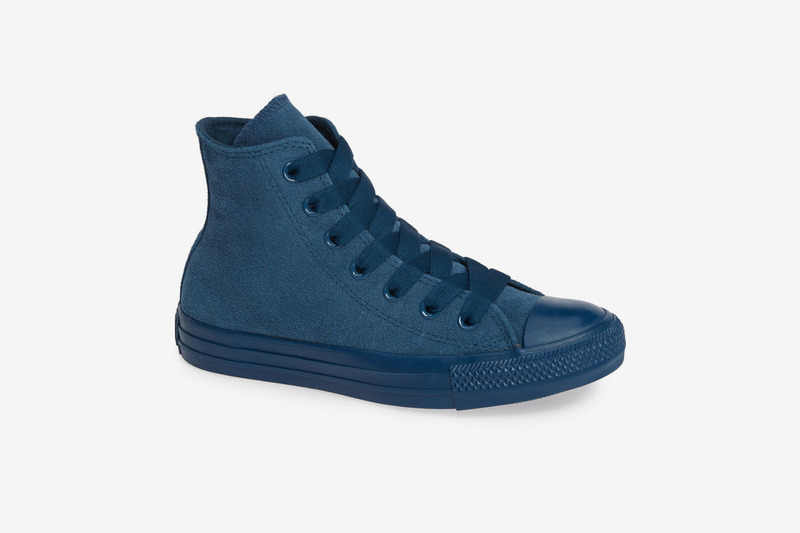 These are the closest I’ll come to embracing the non-workout-sneaker look. 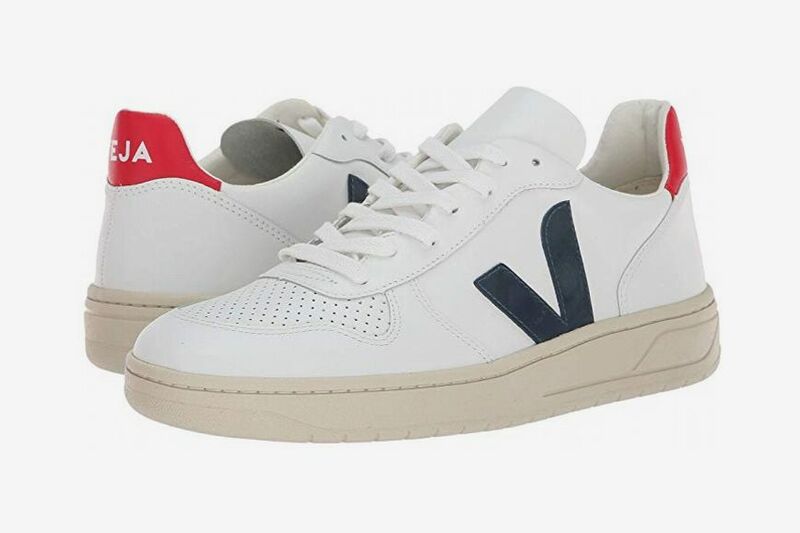 They’re a slightly cheaper dupe of the Vince Blair sneakers, and since the platform is thinner, they end up looking a little sleeker and less clunky. I like that I can slip them on barefoot or with no-show socks. My thoughts on white sneakers are very similar to Chris Black’s: never look like you’re trying too hard. 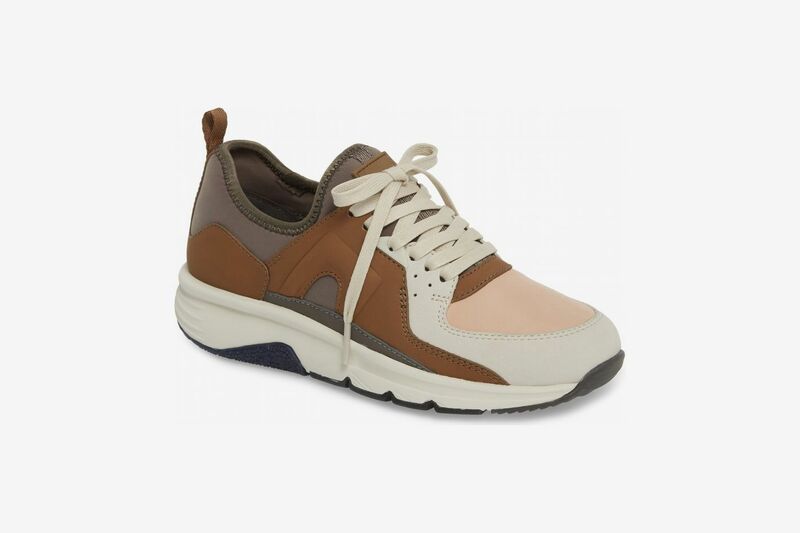 I’m not into overly branded sneakers or hypebeast-y Air Maxes, and have been wearing the same pair of cheap but beautiful leather sneakers from Boden for close to two years. They now look loved and worn-in, with some wrinkling around the laces — but surprisingly not much grit and dirt, despite how much play they have gotten in the subway. The red tab at the back really adds something — it’s a little less self-serious than a Common Project shoe. Full disclosure, this is not the color combination I wear. I bought my pair of Drift sneakers about a year ago and they’re a combo of navy blue, electric blue, black, and coral. But I’d gladly add these in desert browns to my collection. 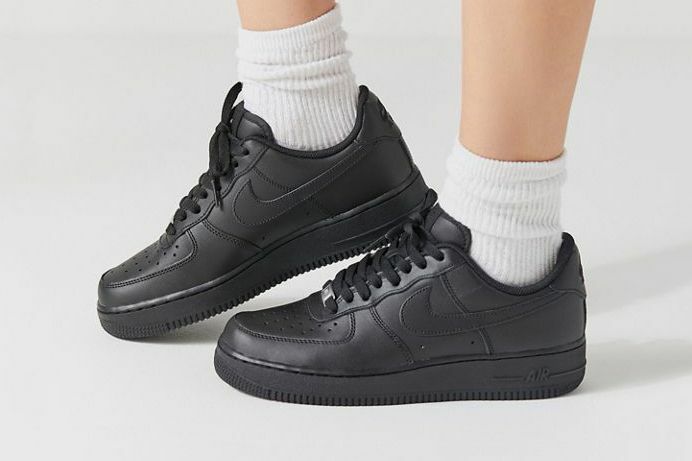 I searched for a pair of dressed-up but still sporty sneakers for a long time and got very close to buying some all black Nikes or Adidas but didn’t want to have the same sneakers as every other woman on the train. 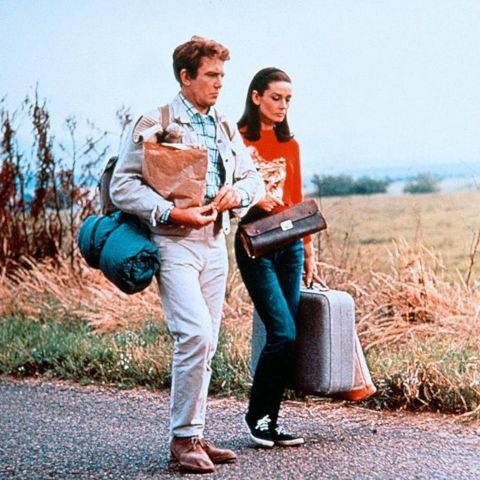 Campers have held a special place in my heart since I was a study-abroad student in Paris. But now, instead of finding their shoes kind of dorky-cool, I think they’re just straight-up cool, and really, really comfortable. 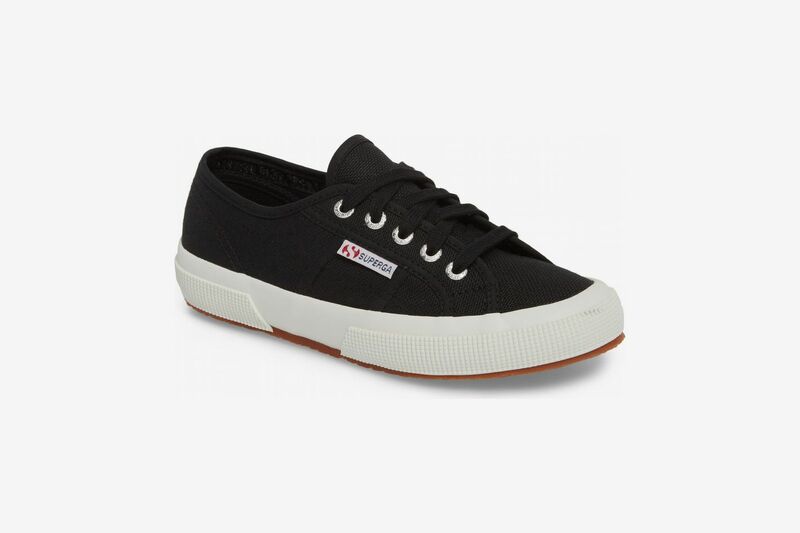 I love a little sneaker and alternate between these Superga low-tops in navy and a pair of Feiyue white sneakers with Snoopy on the side (they’re sold out). In the summertime, when I don’t want to wear sandals but also don’t want to wear socks, these are my go-to. 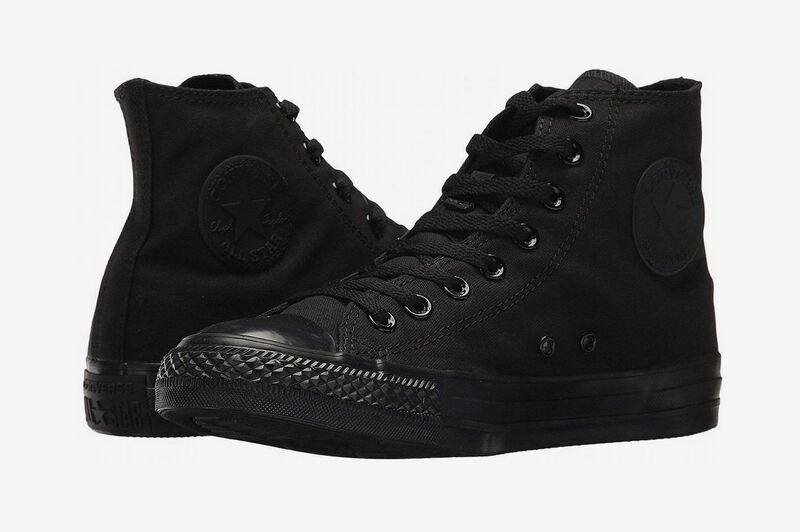 They look nice with skirts and dresses as well as beat-up denim, and they feel like slippers you can wear outside. Most days I’m a sneaker dullard: I either wear super-filthy off-white high-tops, or a pair of slightly cleaner, slightly neater-looking black Air Force 1s. 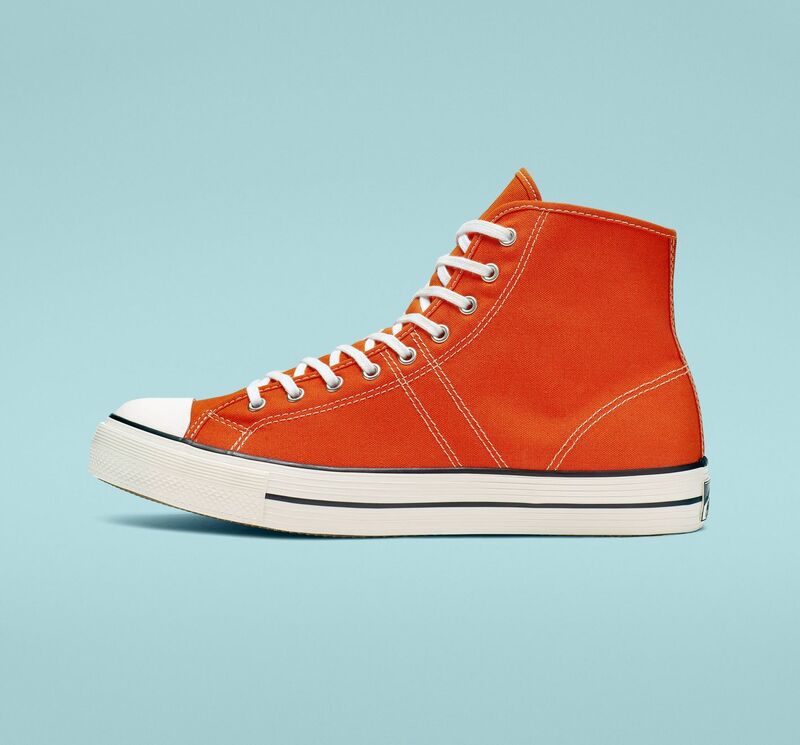 Then there are my (comparatively wild) Halloween-y orange high-tops, which I tend to pull out of my closet when my outfit is a little boring. Those three pairs comprise my small but dependable sneaker family. 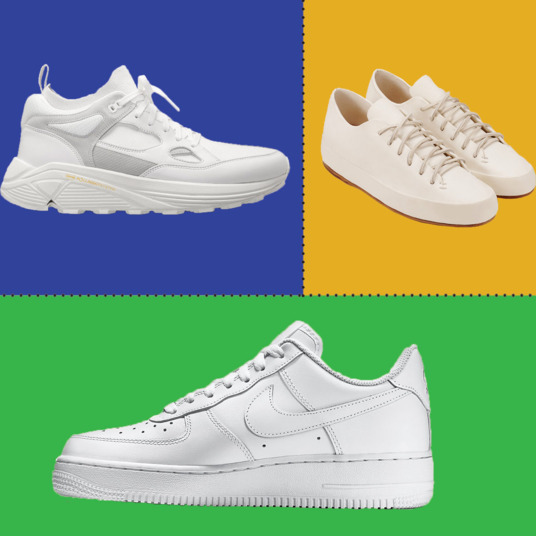 For most of the year, my wardrobe is essentially an ever-rotating combination of button-down shirts over jeans or chinos — classic tops and bottoms that I usually pair with the perennially stylish white sneaker. 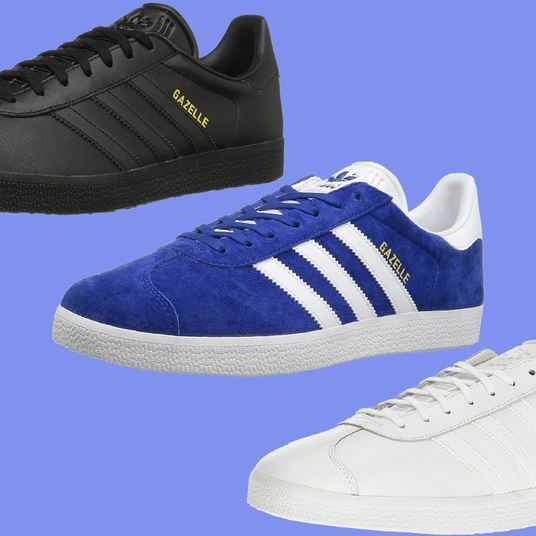 And no brand does simple sneakers quite like Adidas. 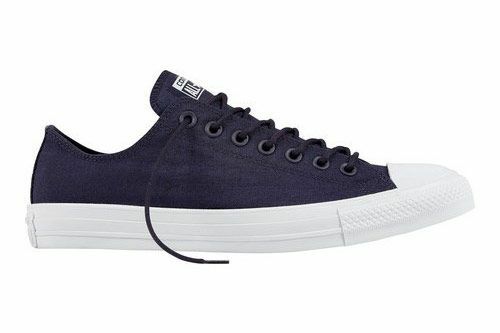 I recently bought a pair of white Stan Smiths (trimmed in navy) to replace a pair of white Rod Lavers (also trimmed in navy) that I wore almost every day for years. 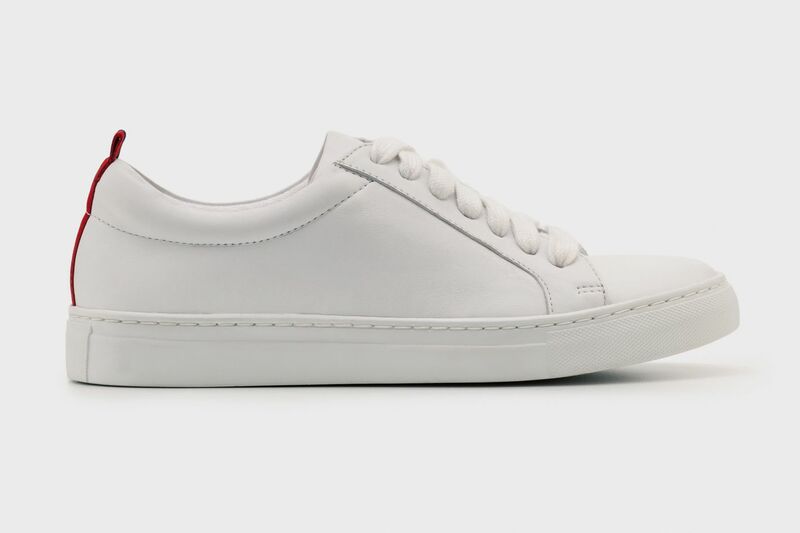 The shoes’ milage is one reason I turn to the brand — my Stan Smiths look and feel almost as good as new, despite wearing them five or six days a week on the streets of New York City. 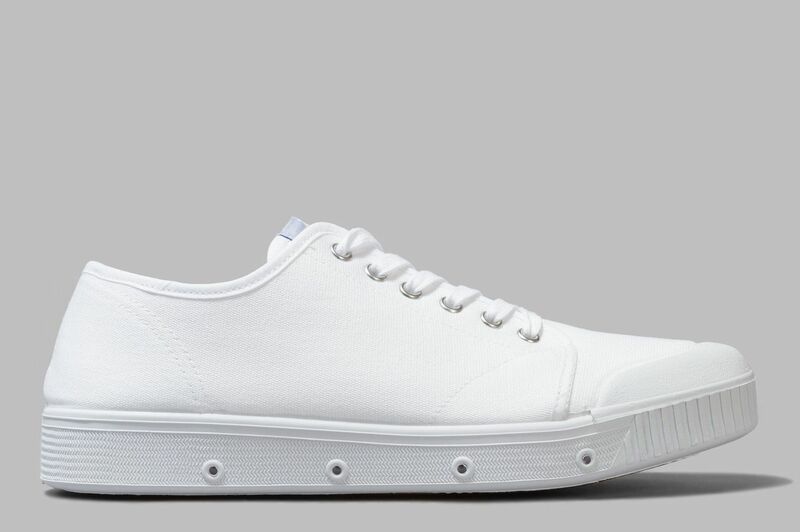 And the little wear they show honestly makes them look better, as I find unblemished white sneakers a bit too sterile (probably why I gravitate toward the navy-trimmed Stans over their all-white siblings). 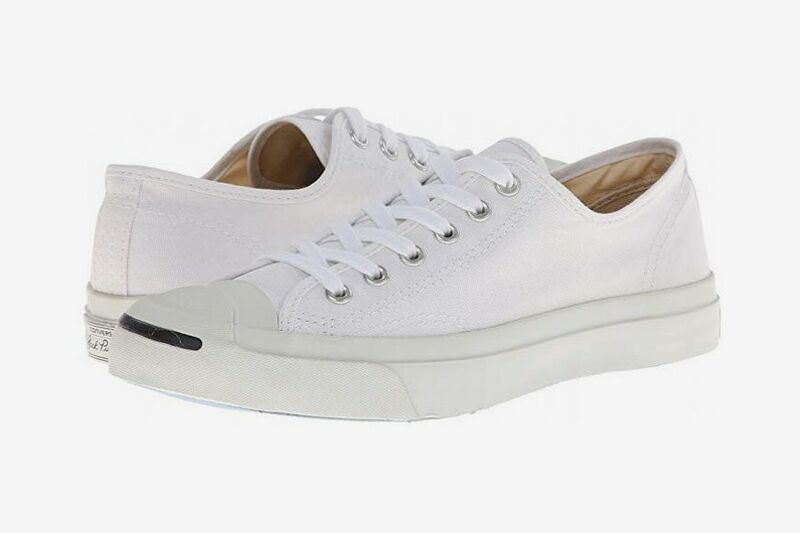 Plus, the Stan Smith’s minimalist, all-leather body makes it slightly dressier, which means I can still wear the sneakers on days when I need to throw on a blazer over my normal uniform — something I didn’t feel as comfortable doing with my canvas-and-leather Rod Lavers. 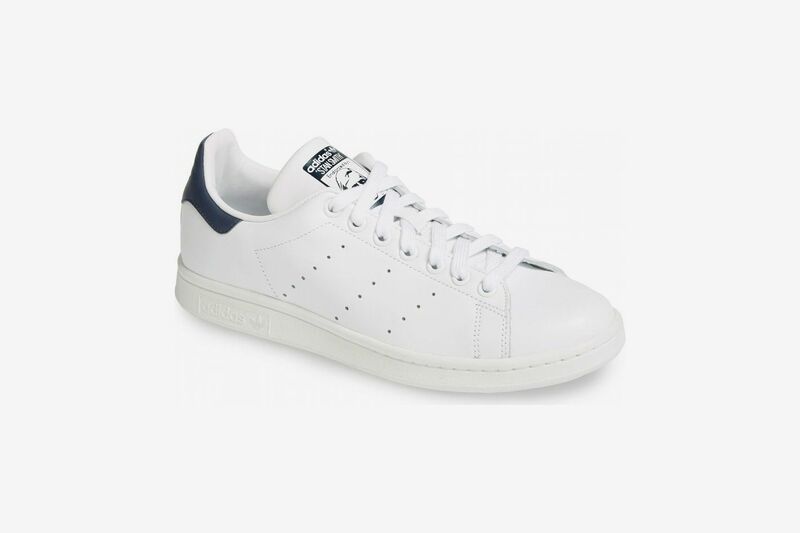 Adidas also makes Stan Smiths trimmed in red and in green, and in an all-black style, but I find the white-and-navy option the freshest-looking of the lot. When I’m not wearing my Vejas, I’m wearing high-tops meant for skateboarders. I do not know how to skateboard, I doubt I will ever learn at this point, but I like the way they look with cropped pants and jeans, which are mostly what I wear these days. I spotted a pair of Nike SB Bruins in a Strategist sales post last March, in dove-gray suede with a red swoosh, and snapped them up. Almost a year later, they’re still a favorite. 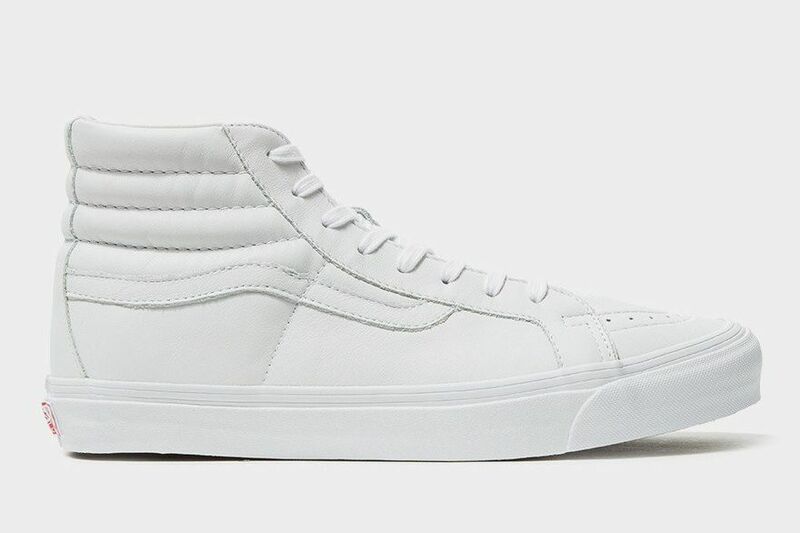 Like a delinquent teenager who frequents the mall, I also bought a pair of white leather high-top Vans at Journeys a couple of years ago, and I have worn them to the point that the rubber sole is pulling away from the upper, but they are so comfortable and broken-in that I can’t bear to part with them. 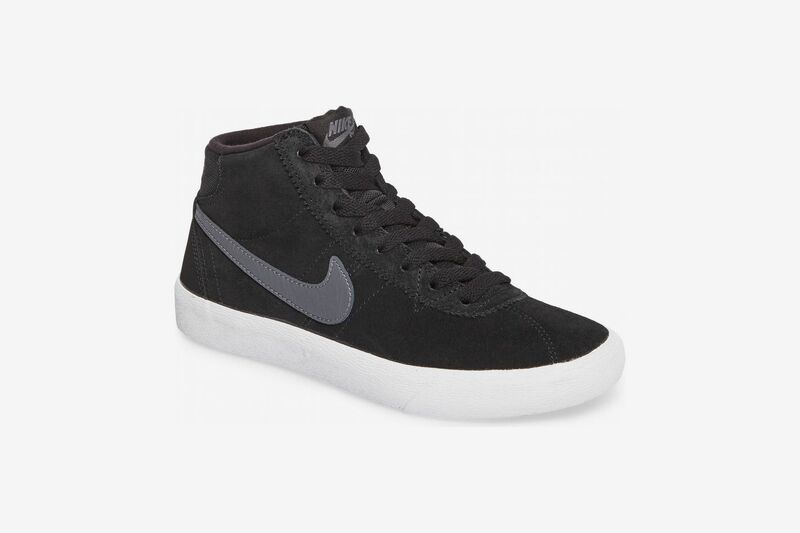 $110 at Need Supply Co.
For a number of years, these were my summer sneaks. 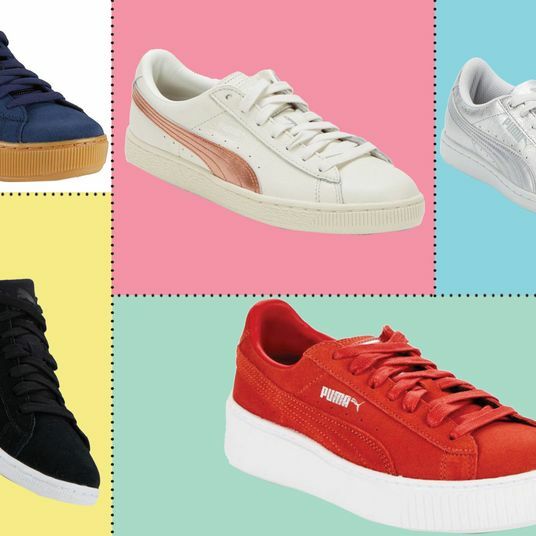 Last summer I decided to take a break and subbed in the shoes of my mid-’90s high school years, the Adidas Rod Lavers. While I enjoyed this bit of nostalgia, they felt ever-so-slightly too clunky to pair with a dress, and they smelled if I wore them without socks. This summer, I am excited to return to my beloved Jack Purcells. 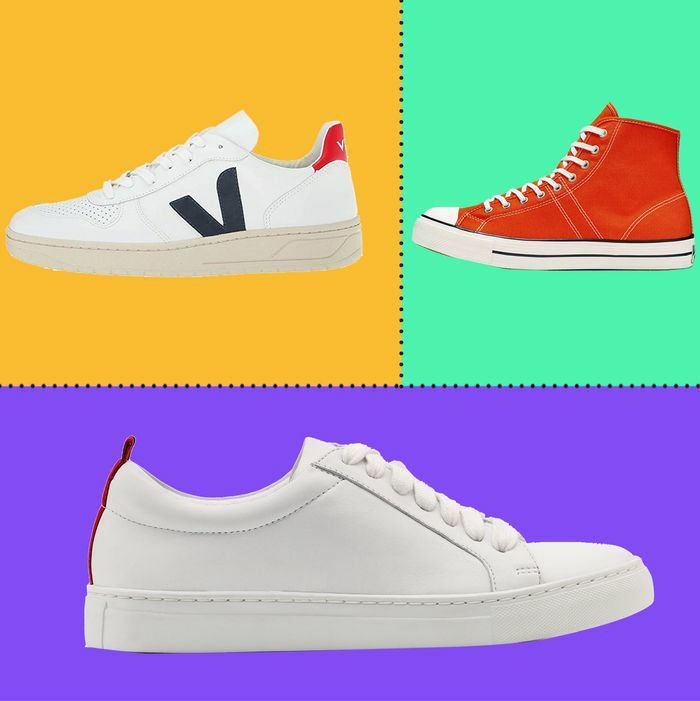 For a canvas sneaker that doesn’t look like much, they have a surprising amount of support (loads more than, say, a pair of Vans or All-Stars), and they lose their bright-whiteness pretty quickly. 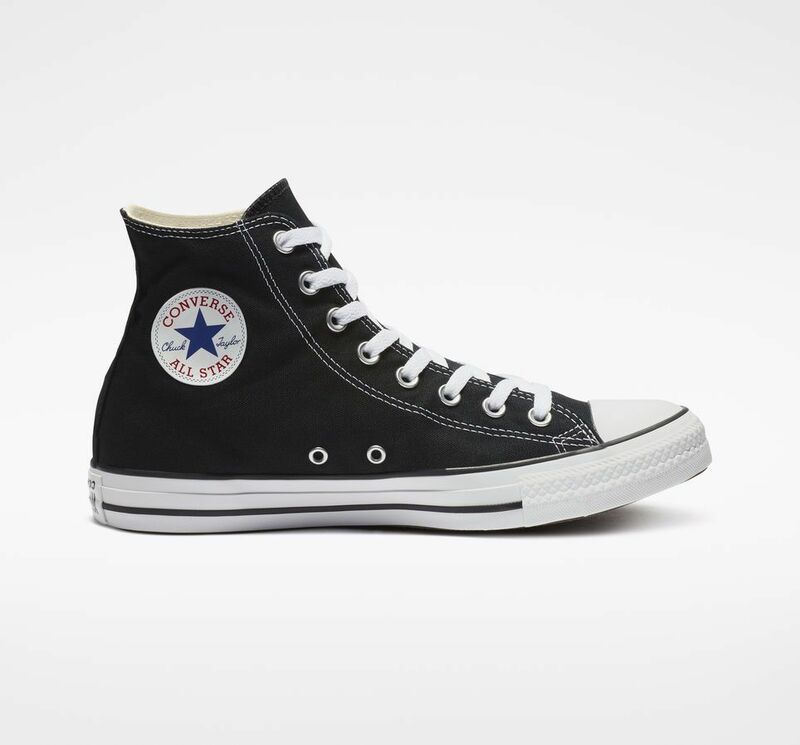 As many of my fellow Strat team members have already made clear: Converse forever. While I am by no means a sneaker-head, I do recommend buying a limited-edition pair if you can. They’re still affordable if you jump as soon as they drop, and the colorways often feel a little more distinctive. I wear this cream and black pair from a Fear of God x Converse collaboration often and always get compliments. 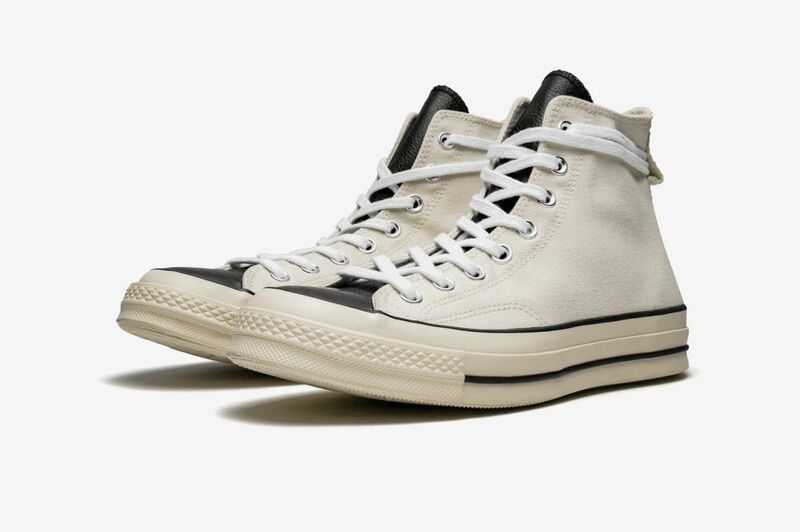 Since these are already insanely marked-up, I suggest keeping an eye on the next JW Anderson x Converse drop, happening next week. I particularly like the chunky platform of the Run Star sneaker. I tried to do the Superga thing a while ago but they didn’t fit my foot well. I have kind of long toes — not freakishly long or anything, but a little extra — and I always find I’m uncomfortable in shoes that have a narrow toe box. (It’s probably for the best, because otherwise I would have blown my budget on narrow-ish Common Projects a long time ago). I first tried Spring Courts a little over ten years ago and they’ve been my go-to canvas/summery shoe ever since. 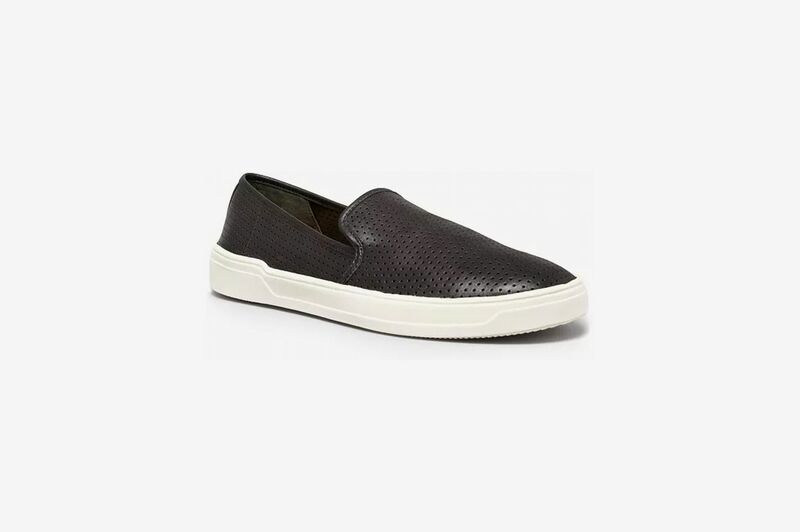 I find them super comfortable and long-toe-friendly, and I think they have a nice, clean look. They’re pretty durable too, and I can usually get two or three years out of a pair. 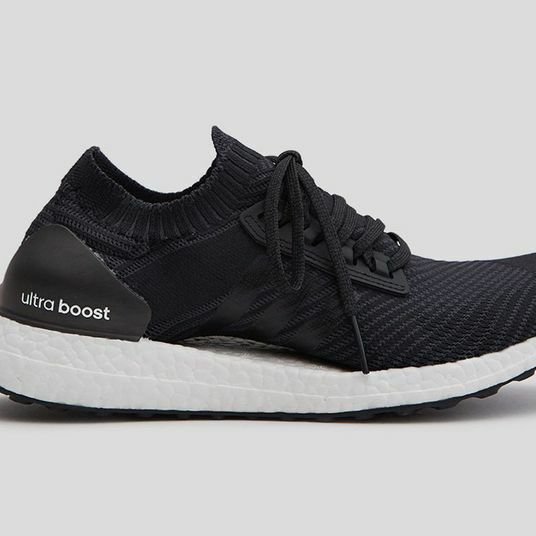 They have weird porthole-like “ventilation holes” in the midsole. I don’t think those actually do anything, but who knows. 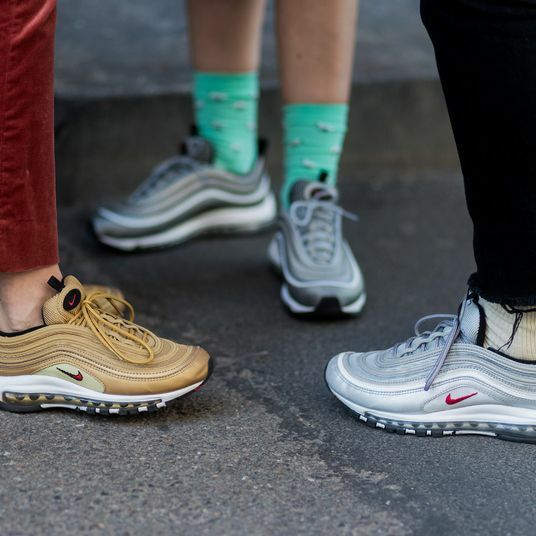 The inner sole is also easily removable, so if you want a “refresh” without buying a new pair, you can easily buy new soles from the company. As far as I know, the only way to buy them is from the company in France or from a retailer in Europe. (Sorry, I wish I knew a U.S. source, but I have tried for years to find one, to no avail … if anyone knows one, PLEASE let me know). 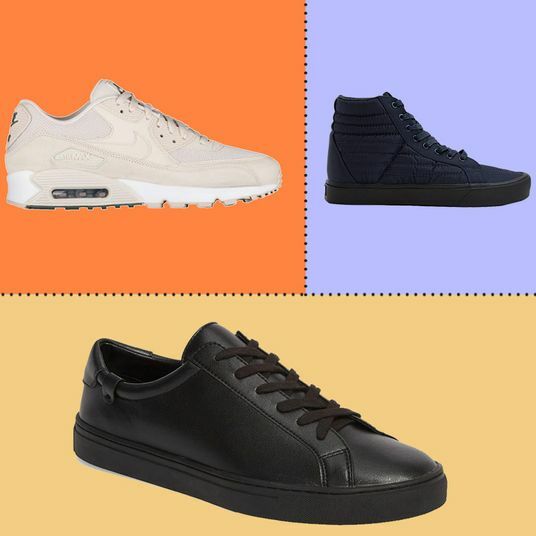 It’s a little less expensive to buy from Oi Polloi in England because you can subtract the VAT, but Spring Court has more options on their site. Word of warning: If you need to return or exchange them, you’re going to be paying international shipping charges. Sorry, all my picks are pretty impossible to find. I also really like vintage Converse. I don’t really care what year or anything, but just “Made in USA” converse. I found an untouched pair from maybe the late ’90s at the bottom of my dad’s closet when I was visiting home and the quality is just a lot better than the ones you can buy new. 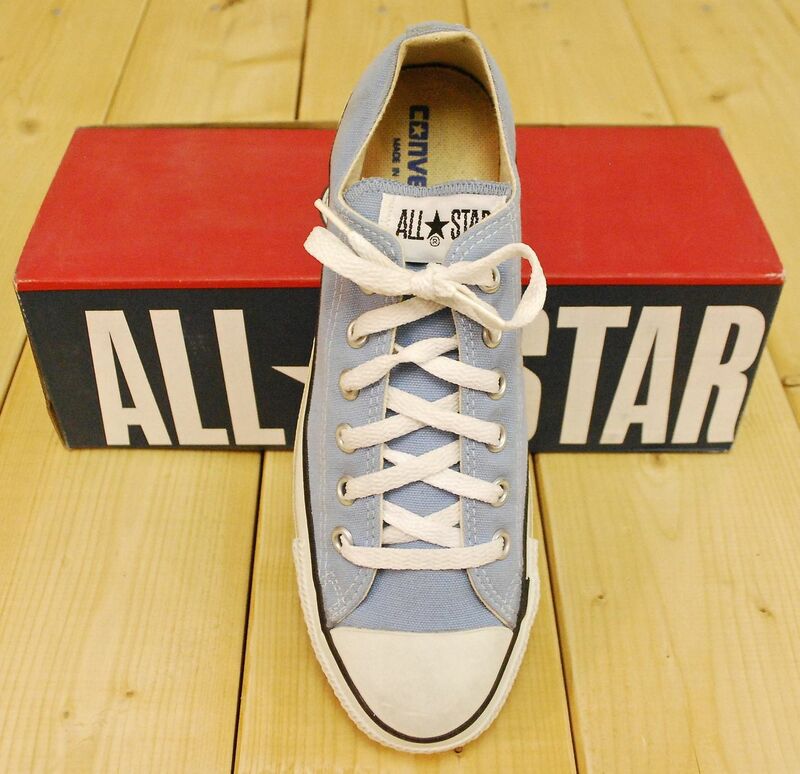 I wore completely through them after a few years and tried to bring them to a cobbler who thought I was really weird, so I eventually trolled Etsy and found a powder blue pair from the ’90s in my size from a seller in Edmonton, Canada. 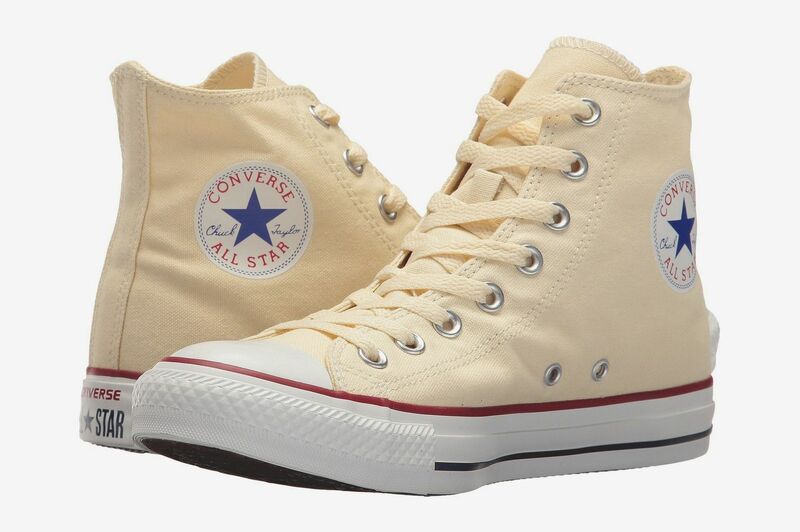 I know a lot of people who swear by the new “1970s” Converse models, which I guess is a similar idea, but I’ve never tried them.